Making the most of our weekend off as English teachers in rural Thailand is always an adventure. We took off on our motorbikes to Bo Kleua from Pua at 4:30pm and arrived at 6pm. It was a wild ride through the many twists and turns in the mountains. It's a good thing we arrived before 6pm because it is very dangerous driving and avoiding pot holes on those roads at night. We stayed the night at the most relaxing riverside resort. The resort is owned by our friend's brother, so we got a discount to stay there. 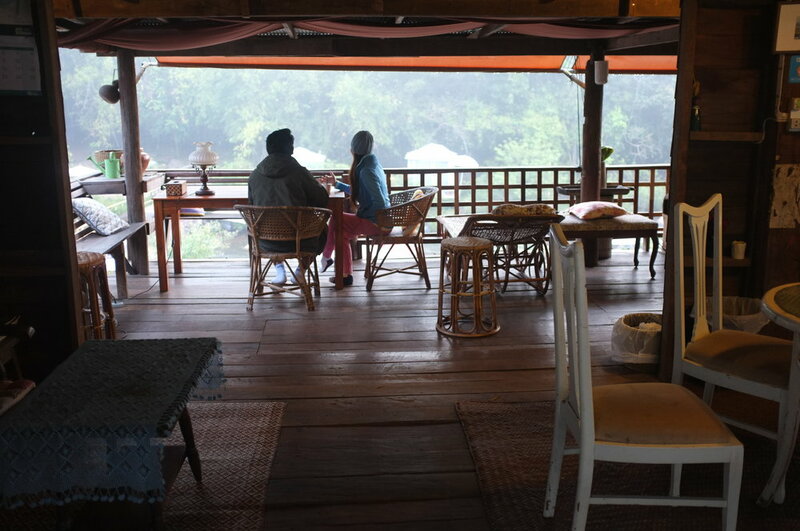 We stayed in a secluded cabin for only 500 baht ($15) each per night. The cost also included breakfast and dinner, so it was a great deal. The food was amazing and there were tons of baby animals. Baby pigs, baby cows, puppies - it was heaven. 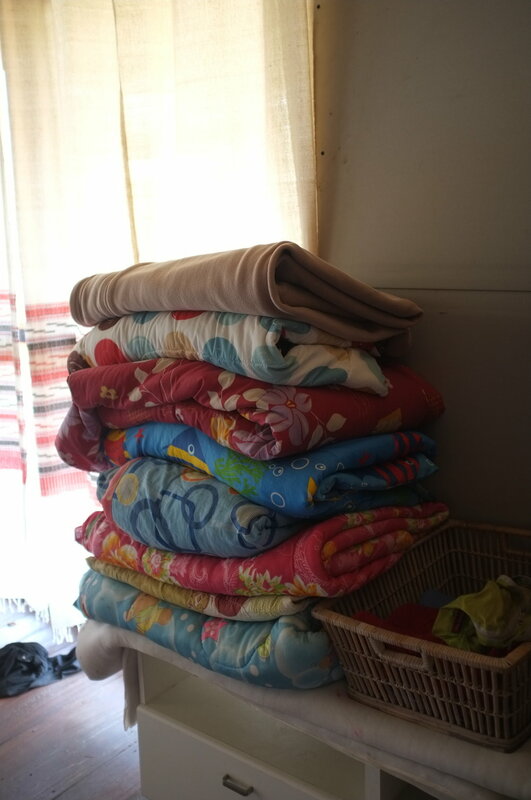 It was freezing in our cabin at night, so we were grateful for the huge pile of blankets! I was so pleasantly surprised with our lovely cabin. It was so peaceful and clean and had an excellent view of the mountains. I loved the large outdoor living room area- perfect for playing cards and drinking a few Leos. I have to admit, I wouldn't have appreciated this cabin as much one year ago because it's basically luxury camping. Only bummer was that the [unheated] shower spewed dirt water. I thought the ground was black from washing the dirt off my feet and legs after a dusty day of hiking...nope. We visited Sapan waterfall, which was beautiful! It was a 15 minute stair climb up and totally worth it! Bo Kleua is known for its ancient salt wells. 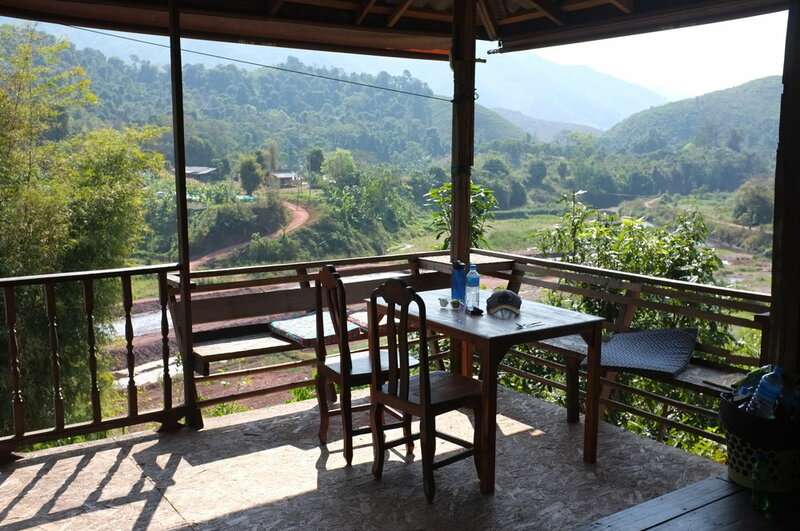 Click here to read about hiking Phu Wae (6030 feet)- the main reason we ended up at Bo Kleua!